RANGELEY – Will your child play sports this fall? Does your child need any immunizations before the school year begins? In celebration of National Health Center Week, Rangeley Family Medicine will offer a full day of Well Child Exams in preparation for school entrance and sports clearances on Wednesday, August 15th from 8:00 a.m. to 4:30 p.m. The health center will offer a $100 discount after insurance payments on your child’s exam and immunizations, thanks to the generous support of Rangeley Health and Wellness! Call early to book your child’s appointment while time slots are still available! To schedule an appointment, please call (207) 864-3303. The team at Rangeley Family Medicine wants to help you prepare for the season so your child will be ready on day 1 of the new school year. The event is being held in celebration of National Health Center Week, which runs from August 12th - 18th. This year’s theme for National Health Center Week is “Celebrating America’s Health Centers: Home of America’s Healthcare Heroes.” One of the bright spots in America’s health care system, Community Health Centers serve more than 27 million Americans, a number that continues to grow along with the demand for affordable primary care. 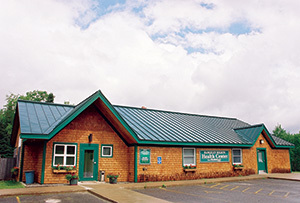 Rangeley Family Medicine is part of HealthReach Community Health Centers, a group of eleven Federally Qualified Health Centers in Central and Western Maine. Madison offers a range of services including family medical care, counseling, and care management to residents of Rangeley, Oquossoc, Stratton, Eustis, Phillips, and neighboring towns. A reduced fee program is available to uninsured and underinsured residents.